Rendering, Plastering and External Wall Insulation. Plastering and Rendering Contractor Services. Energy Saving Wall Insulation Services. Speak to one of our specialists for damp proofing today. Specialists in all aspects of external rendering structural waterproofing, façade treatment insulation and masonry preservation. We have a combined knowledge of over 25 years experience all our team are safe contractor approved time served city & guilds approved operatives. We are specialist contractors in external wall insulation (EWI) across Kent, Essex and the Southeast. TCA Rendering are Sovereign and Triton approved damp proofing contractors. We are leading experts in basement conversions and basement construction, with an unrivalled depth of knowledge. TCA Rendering and Insulation can offer a manufacturers backed guarantee on all our work. Specialists in all aspects of external and internal structural waterproofing, Façade treatment insulation and masonry preservation. All of our products we use come with the BBA certification British board of agreement our office based team can carry out a detailed specification to suit Any Size project, requirement or package. In our years of service, we’ve built a reputation as one of the most reliable rendering contractors in the South East. Whether you read our reviews on Checkatrade or any other site, we’re confident you’ll find positive feedback and recommendations. We take care of it all from the scaffolding going up to removing the old render, we have all the tools and resources in place to handle any size project. Good design and workmanship are primary factors when achieving a waterproof construction. We are applicators for many of the render systems manufacturers such as (PAREX, K REND, WEBER, LICATA, STO) and regularly work closely with them to deliver high-quality projects no matter the size of the job. We use a wide range of renders systems that are the best on the market and the renders we use come with guarantees as well as a manufacturer guarantee. TCA Rendering & Insulation are a trusted, professional run business with a good reputation to uphold. We pride ourselves on our quality workmanship and our attention to detail. We cover all aspects of rendering from traditional sand and cement to more modern systems such as Monocouche, silicone and acrylic thin coat renders and external wall insulation. We also specialise in lime based renders. TCA Rendering and Insulation have a combined knowledge of over 25 years experience all our team are safe contractor approved time served city & guilds approved operatives. TCA Rendering and Insulation has satisfactorily fulfilled the requirements for recognition by The Guild of Master Craftsmen. The establishment has agreed to uphold at all times the aims and objectives of The Guild of Master Craftsmen, to abide by the terms and conditions of membership and to continue to serve the public and fellow members with skill and integrity. At TCA Rendering and Insulation, we cover a wide area across Kent, Essex, Sussex and Surrey. This includes Ashford, Bexleyheath, Chatham, Crayford, Dartford, Erith, Faversham, Gillingham, Gravesend, Hempstead, Herne Bay, Maidstone, Rainham, Rochester, Sevenoaks, Sittingbourne, Strood, Tonbridge, Tunbridge Wells and Whitstable. TCA Rendering & Insulation offer Rendering, External Wall Insulation, Damp Proofing, Basements, Lime Rendering and Plastering services across Medway, Kent, Essex, Surrey and Sussex.  We are highly rated on Checkatrade and have consistently been reliable and trustworthy for the past 25 years.